LOVE BEING A NONNY! : Proud! Hubs is a biker.....As in bicycle!!! Hubs had prior engagements so was only able to ride for three of the days (200 miles). As he rode his way through North Carolina, I ate my way through!!! The first day he rode from Elkin to Mayodan. They ride all these back, country, mountain roads and the scenery was gorgeous! (I met him at the end of each day so I was able to see the sites as I rode in the car.) Along the route on the first day was the neatest country, general store. It has been written up in Our State Magazine and has been in their family since the 1800's! We ate corn chowder, hoop cheese and fried apple pies at this store!!! The first day's ride ended at Autumn Creek Vineyards. God's country for sure! Amazing how welcoming all of the host towns were! There are some good people in NC!!! The second day began in Mayodan and went to Mebane. 7:00 a.m. Ready to ride!!! Day two ended in Mebane. WOW...look at all the gear they transport for these riders!! The last day of the ride for hubs went from Mebane to Henderson. The people at the YMCA in Henderson were some of the most welcoming. They were lined up with cow bells to greet the riders! I'm so incredibly proud of my husband. He's a 57 year old Poppy, and he climbed hills on that bicycle that I couldn't even WALK up! 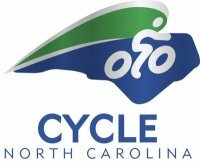 1,200 men and women participated in this ride across North Carolina this year. Give hubs a shout out! He reads my blog!!! Good morning! I have enjoyed catching up with you this morning. The kiddos are as cute as ever, and love how their little play house is decorated. And, what a cute playroom they have now! Good for your husband! NC is one of my favorite places. And, it always feels like 'home' when I am there. So good to know the twins are doing well! Hope she continues to as well, and can carryy them as long as possible! My favorite time to be in NC has always been in the fall. So, so beautiful! So, enjoys the beauty that I know surrounds you! Blessings! We're proud of you on the Acre, Mr. "Hubs" ~ that's quite a distance!! My hubby is a mountain biker (bicycle, too) but is in the process of buying a hybrid so he can ride on the streets as well. Don't tell him but I don't think he'll ever make a 200-mile trip. Way to go!!!! I grew up in Stokes County. My grandparents still live only 2 miles from Priddy's store. I used to go there as a child for a "pop" or ice cream! Great photos! Way to go! I love NC and Our State magazine is my favorite even while living in TN. I will always be a Carolina Girl. That is a great accomplishment and great commitment! Wow! What an accomplishment! Like you I would be in the car!! Great job. Wow....that's a lot of miles on a bike! Hubs can eat whatever he wants after that ride. Such a huge accomplishment - great job! Wow, that's AWESOME!! I am going to tell my husband about this!! What a great adventure ~ that general store is ADORABLE! Congratulations to your hubby on his hard work!! This is simple goodness. Great job Mike! Proud of you! I think that is absolutely awesome!! And such great pics of God's beauty too! What an accomplishment!!!! And such a great driving tour! HAPPY BIRTHDAY TO THE ONE WHO MADE ME NONNY! what is YOUR nonny name?